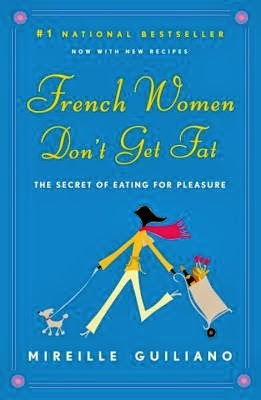 or Why do French women keep messing with our self-esteem? 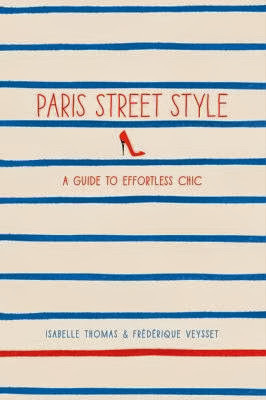 First it was "French Women Don't Get Fat," and now we have "Paris Street Style: A Guide to Effortless Chic," "Stuff Parisians Like: Discovering the Quoi in the Je Ne Sais Quoi," "Forever Chic, French Women's Secrets for Timeless Beauty, Style and Substance," "Parisian Chic, A Style Guide," and "Lessons from Madame Chic: 20 Stylish Secrets I Learned While Living in Paris." It's bad enough that we are thought to be the most obese nation on earth (which the French loathe, being obese, not America - but I could be wrong), but that our style is also crap...It's just too much, or should I say, "C'est trop?! Naturally she was a French exchange student in the U.S. and, quelle horreur, she got fat and had to go back to France to get skinny again. In the end, nothing really new. Willpower, small portions, and keep a food diary. Been there, done that. Rosy the Reviewer says...The only real "miracle food" here is the wine. Here is the breakdown of essential elements for your wardrobe, Parisian style and what not to wear as in quilted jackets and Converse sneakers after the age of 26. Funny, when I was in Paris, saw nothing BUT quilted jackets. Those people couldn't have all been Americans, could they? No surprises - yes to the LBD and yes to adding vintage items. No to polyester. Just not too much - moderation, moderation, moderation. Rosy the Reviewer says...Huh? She should see me when I wake up. Bed hair, bitten nails, broken toe that won't fit in high heels...I guess I must be more French than I thought. 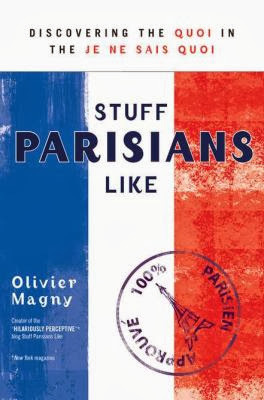 Just kidding, those aren't things Parisians like. They actually like baguettes, the word putain and saying Americans are stupid. This is a sort of a send up...or is it? Finally, one for women of a certain age. Did you know we are considered "alluring, mysterious, and seductive?" Rosy the Reviewer says...One of the pieces of advice: use your Hermes scarf as a cumberbund. My who, what? 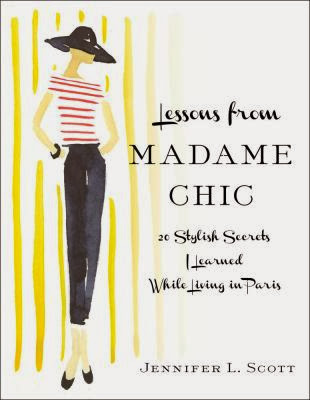 The author is a Chanel model from the 1980's. I wish she talked a bit more about what a woman of her age would wear to be chic but here is her "Magnificent Seven:"
Rosy the Reviewer says...What? No mention of a scarf? French Madame (not THAT kind of madam) straightens out her American exchange student and teaches her the way of the French. 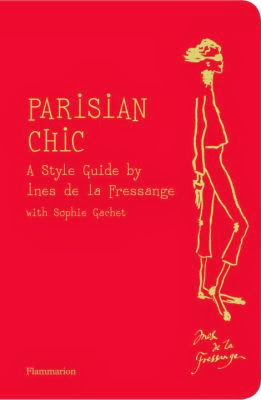 I had a hard time getting past the chapter "Look Presentable Always," which basically says, if we run around in Uggs and droopy sweatpants, we don't respect ourselves enough to wear the feminine and beautiful things we were meant to wear at all times and heaven forbid we should set foot in Paris. Rosy the Reviewer says...This is like a new version of "Gigi." 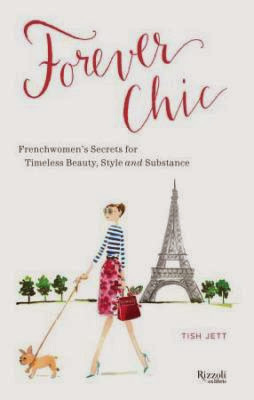 Rosy the Reviewer says...Bottom Line for French Fashion and Lifestyle: Stop eating so damn much, take the stairs and wear a scarf! Eva, a divorced masseuse facing an empty nest meets Albert, also divorced and in a similar situation. 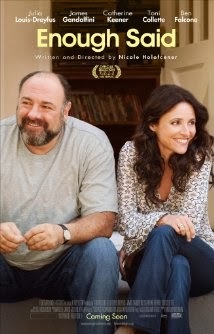 Never much of a fan of Julia Louis-Dreyfus or James Gandolfini and have always thought Catherine Keener was over-rated but this film helped change my mind. The acting and screenplay were all first-rate, though I saw where the film was going early on (I was surprised that some of the other people in the audience gasped when they realized the plot twist). The characters were charming and affecting, though Louis-Dreyfus' character was clueless and verged a bit too close to Elaine at times, but she pulled back just enough to reel me in and I found her acting natural and easy-going. Gandolfini showed a softer side and seeing him in this film made me sad that his life was cut off before he could mine that side of his talent. 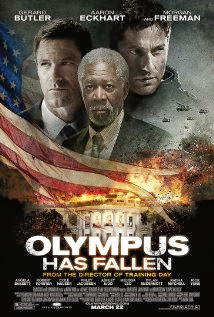 I found the film very touching. Rosy the Reviewer says...A smart, affecting romantic comedy for the discerning filmgoer. However, it could use a better title. It started 18 years ago with Before Sunrise when Jesse and Celine met on a train bound for Vienna. Their instant attraction led them to spend the night together talking, never to meet again. But another nine years later, they do meet again in Paris in Before Sunset and their romance is rekindled. And now they are together another nine years later with twins and we spend another day with them, a bit more contentiously than in the past. All three films consist of long, smart and funny conversations between Jesse and Celine, this time as they end a summer vacation in Greece. Using long uninterrupted camera shots as they walk and talk in beautiful surroundings, Jesse and Celine explore the nature of their relationship. 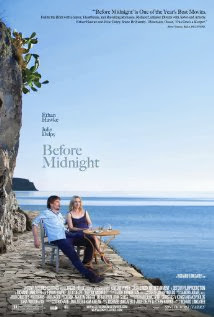 Ethan Hawke and Julie Delpy share writing credits with Director Richard Linklater, which is apparent in the almost improvisational nature of their dialogue. Critics likened this trilogy to Michael Apted's Up series (that has followed 14 British children every seven years since 1964). That's a stretch, but director Linklater has been similarly faithful every nine years since 1995 and created a trilogy that captures the reality of meeting, falling in love and what it takes to stay in love. Rosy the Reviewer says...if you like reality, here it is. Love is not a fairy tale. It can be messy. Smart and beautiful film-making. An Eco group is attacking major corporations and our heroine infiltrates, only to be highly affected by the zealous group. The last time I saw Brit Marling (who co-wrote this screenplay), she was starring in another film she had written, Another Earth (2011), a wonderful little indie film about a planet that is the mirror of earth (recommended). 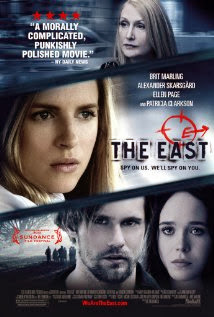 Rosy the Reviewer says...A fun diversion, but Brit Marling is the main reason to watch. Another siege upon the White House. Butler is a badass as he tries to save the President. I also liked that the woman Secretary of Defense was a brave badass as well. Rosy the Reviewer says...very violent, the usual stuff, but exciting nevertheless. I wonder what it would have been like in 3-D.
A delightful British TV series where a couple of senior citizens reunite after years apart. Many of my fave British actors are here and it's just a lovely story that will appeal to all of us other senior citizens especially. 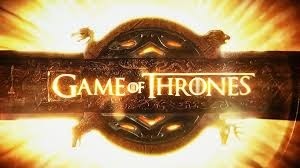 Playing on PBS but also Available on Netflix now in Season 3. Rosy the Reviewer says...Derek Jacobi (remember him in the Cadfael series?) is just a wonderful actor. His nuances here are a thing to behold. Highly recommended. This weekend, you can go to the movies, rent a DVD, check out your local music scene or go through your closet and get totally depressed because you are not French! "Rock & Roll Will Never Die!"